The Wicha for which Phor Tan Juea is now the Number One World Master of, and for which Fast results are the reason for its fame, is the Lucky Numbers Wicha Ngoe Heng Duang Dee. 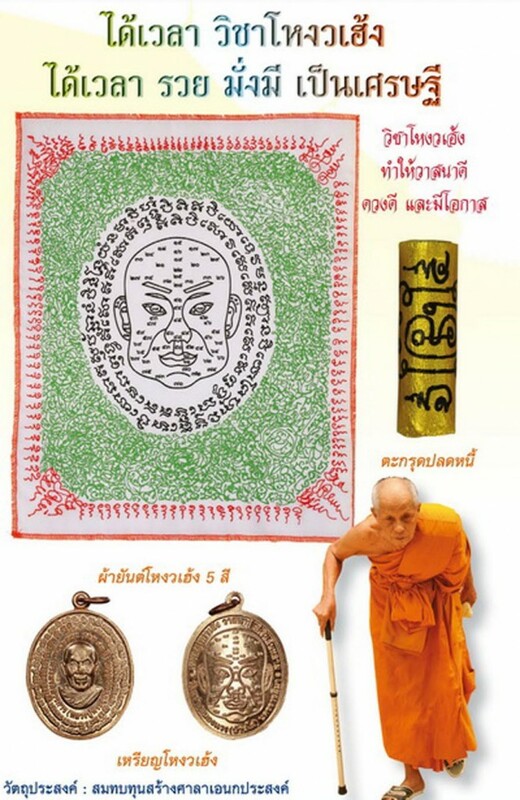 The Wicha has been made as a Coin and Yantra Cloth, for Lottery Number Divination and Wealth Accumulation. 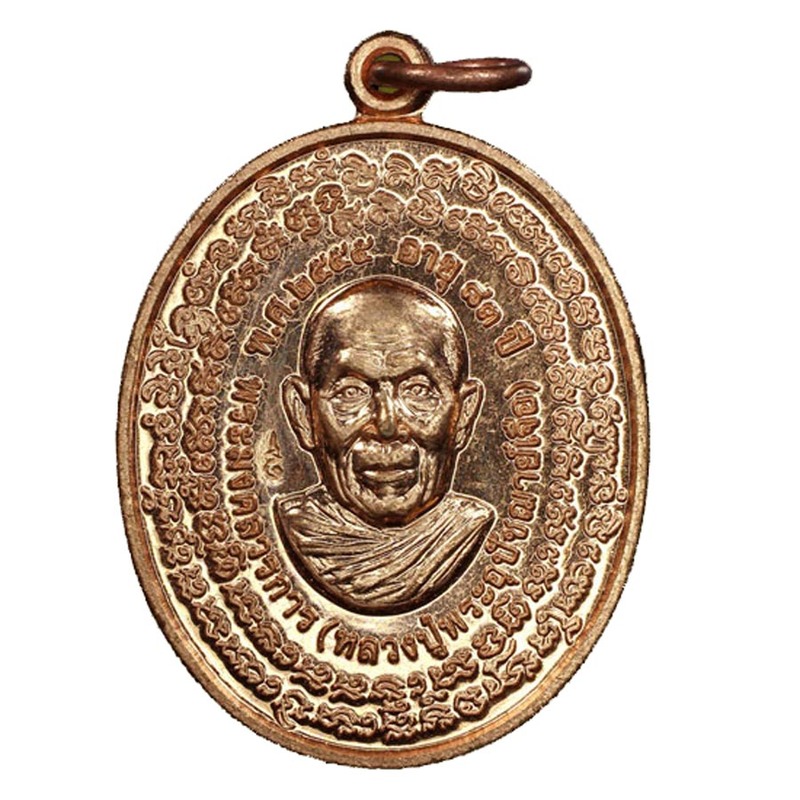 The Wicha uses the face of Luang Phor Tan Juea on the front of the coin amulet, representing the Chaloke Uang Yee Meng, meaning the face of Uang Yee Meng, the Powerful King, with Great Command and Glorious Honor, and the rear face of the Gok Yee Meng, also awoken and empowered using the Wicha Ngoe Heng . 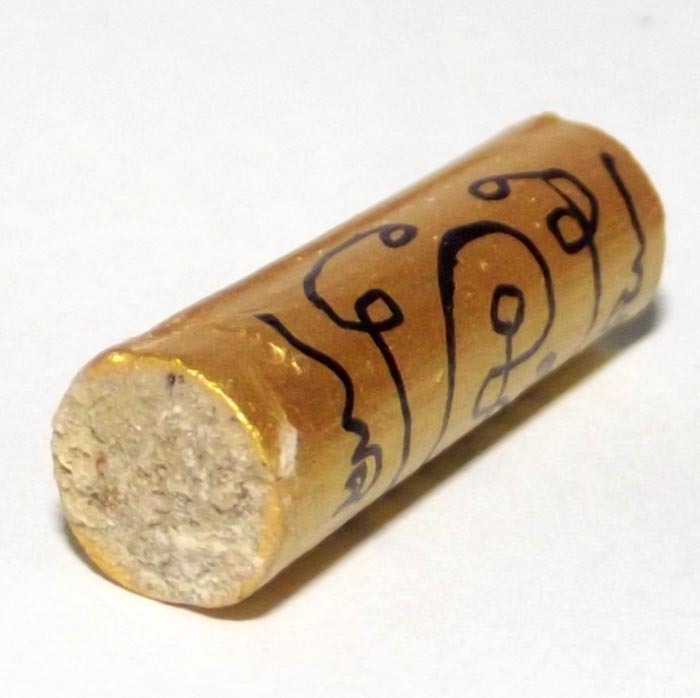 The Wicha attracts Great Wealth, Status and Success, and is in addition an intricately accurate Lottery Number Divination Tool in itself. Its ability to reveal Lucky Numbers is part of the Miraculous Power of the Wicha Ngoe Heng, of which only Luang Phor Tan Juea is the Presiding Master of. This Wicha is still without an Inheritor, to preserve and continue its existence for Future Generations. We hope that Phor Tan Juea has prepared his Heir for this Wicha to continue. We await eagerly the day when we learn of the progression of this Wicha, and will follow its Lineage History as it continues. 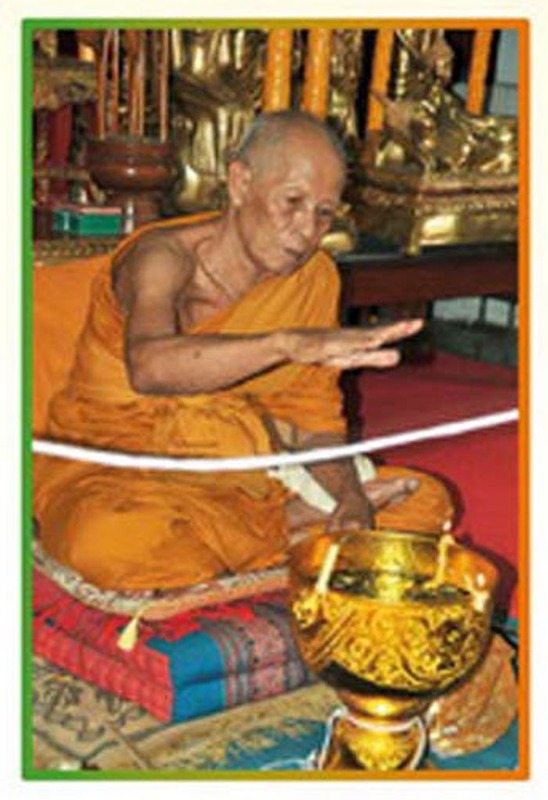 The Wicha Ngoe Heng induces Prosperous Circumstances, increasing Wealth. 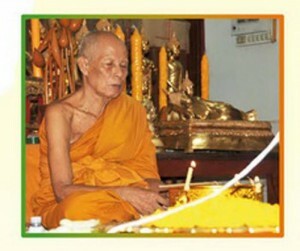 The Wicha Hngoe Heng is one of Three Wicha which in combination result in the Blessing of the Jao Sua (Great Wealthy Merchant). 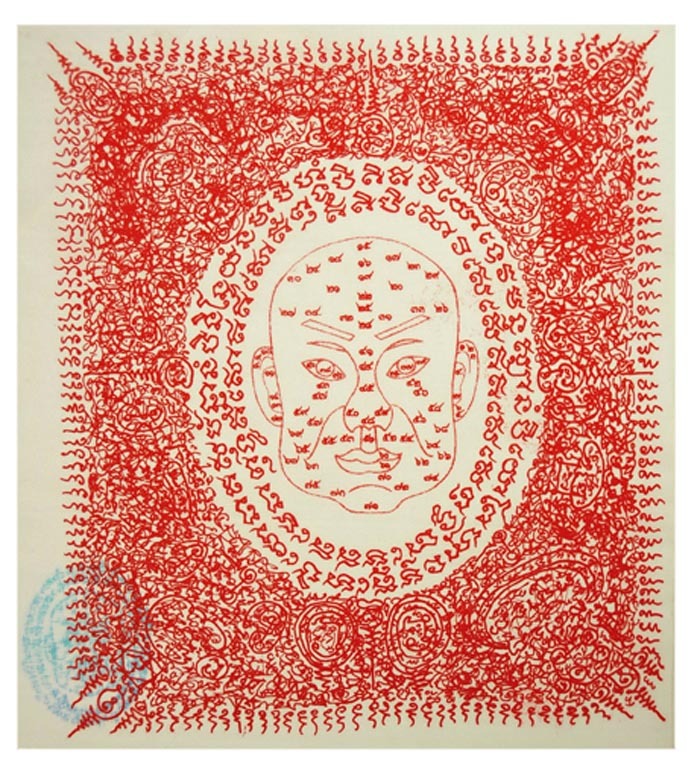 It is not a newly Fandangled Wicha thought up with no Ancient Roots (something that is currently seen to be swamping the Thai Buddha magic scene), rather, a True Ancient Wicha with authentic Sorcery as its power source. 1. The Forehead Mountain brings the Blessing of Fame and Honor, Status and Power. 2. Chin Mountain brings the Blessing of Success to your Children and grandchildren. 3. Left Cheek Mountain brings the blessings of Mercy from Superiors. 4. Right Cheek Mountain brings the Blessings of Higher Promotion. 5. Nose Mountain brings the Blessing of Prosperity and Wealthy Treasures to a Happy Family and Secure Household. 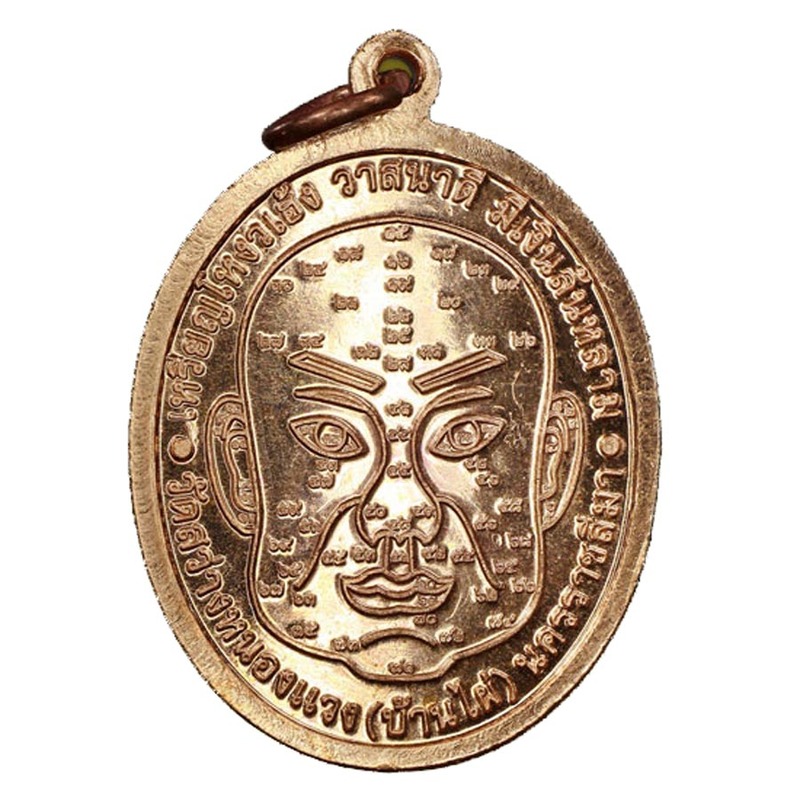 Above; Pha Yant Ngoe Heng – comes as a set with Ngoe Heng Coin Amulet.